A BMC official said that Shahrukh Khan had constructed a canteen for his employees in the same building wherein his production house Red Chillies operates in Mumbai's Goregaon West. Mumbai: The Brihanmumbai Municipal Corporation (BMC) today demolished a 2,000 sq ft canteen of Bollywood actor Shahrukh Khan's production house, Red Chillies, in suburban Goregaon, a senior civic official said. 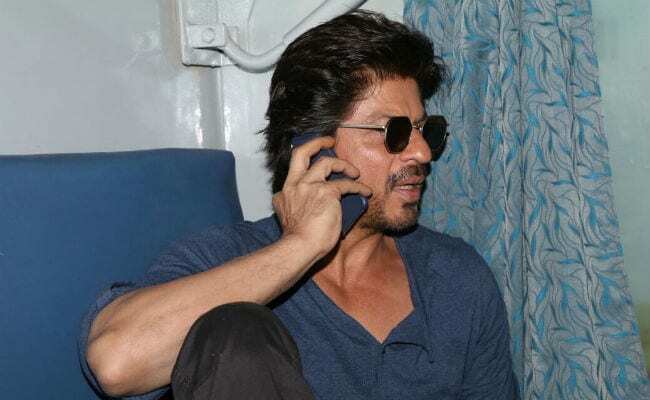 "The demolition action was conducted on the fourth floor where a canteen was illegally constructed for the employees of Red Chillies production house which is situated in DLH Maxx building in Goregaon West," said the official. He said the 2,000 sq ft structure was cleared. "The actor had constructed a canteen for his employees in the same building wherein his production house Red Chillies operates. The canteen was not permitted by the BMC," said the official. "After local ward officers received the complaint about illegality in the construction of the canteen, our officers concerned found the complaint true. It was therefore demolished today," said the official. Deputy Municipal Commissioner Kiran Acharekar supervised the demolition work, the official added. Meanwhile, a statement issued by Red Chillies said, "Red Chillies Vfx is a tenant and not the owner of the property mentioned. The building has an open area outside with seating which employees use for eating food that they get from home. "It is not an operational canteen. The part which the BMC has demolished are the energy saving solar panels which provide clean energy to the entire Vfx building. Red Chillies Vfx is taking this up with the authorities concerned at the BMC."